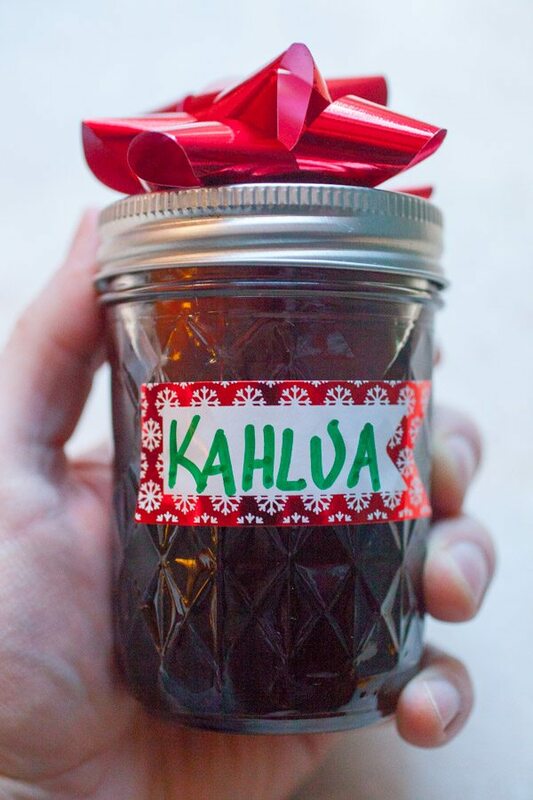 Whether you’re making it for gifts or just for a special treat for yourself, Homemade Kahlua is something that’s very easy to make and very delicious. All it takes is time! 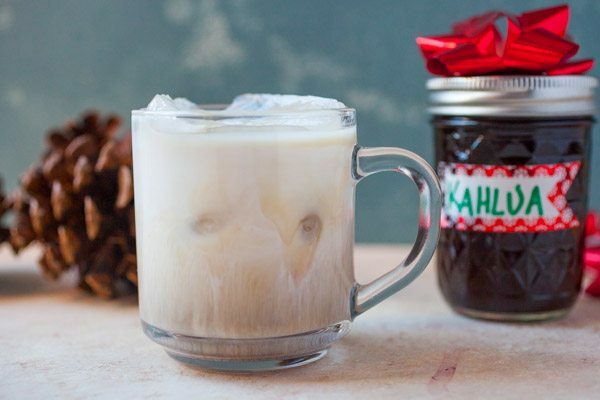 There are not many ingredients in homemade Kahlua so do try to use high quality coffee and vanilla beans. It will make all the difference in the world! I would not recommend using vanilla extract in place of actual vanilla beans. You need the real thing here! It will taste so much better! The only real cooking you have to do is heat up your water enough to dissolve the sugar. 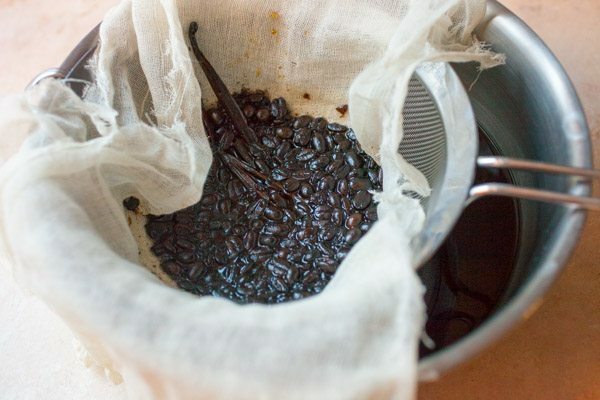 Then add your vanilla beans (split down the middle) and the coffee beans. Lightly crush them so they infuse easier. Don’t grind them completely though. Add that all together with the vodka and let it cool to room temperature. Then pour it into a very clean air tight container and let it sit in your pantry for three weeks. No need to refrigerate it thanks to the sugar and alcohol. 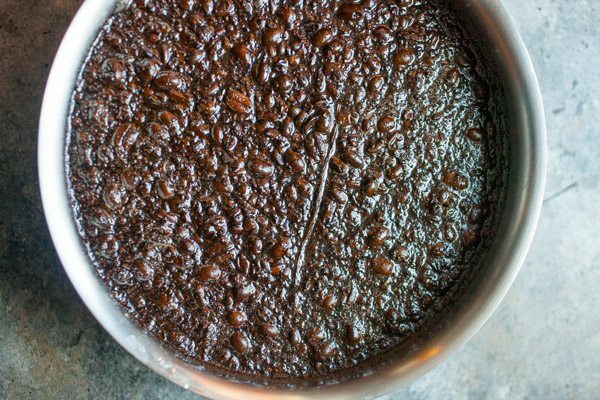 After three weeks, you’ll just strain off the solids and you’re left with delicious coffee vanilla liqueur! If you want to make gifts, you can divide it up into little jars and label them. These are six ounce jars and you could get about six of these out of the recipe. Personally, I just pour mind into a nice decanter and keep it for myself during the cold winter months. 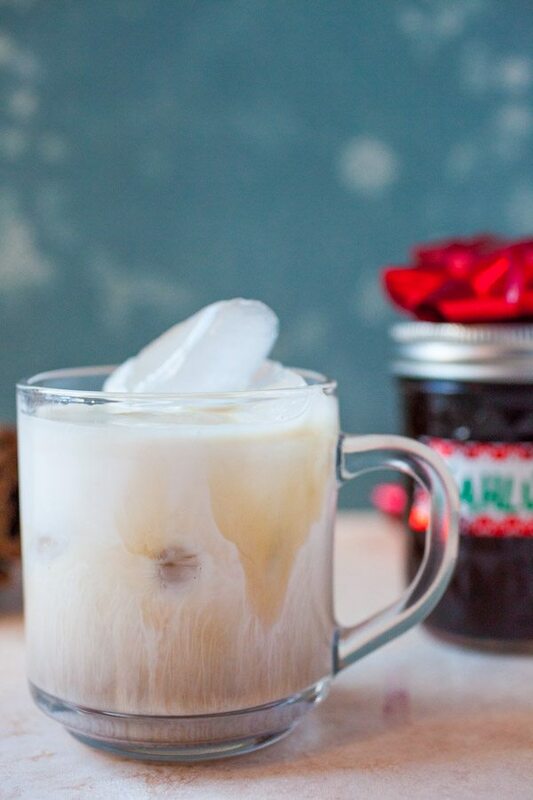 A good White Russian is just a few pours away and the homemade Kahlua has a much richer and more unique coffee and vanilla flavor than the store-bought version. Add water and sugar to a medium pot. Heat and stir until steaming and sugar is dissolved. Remove from heat. 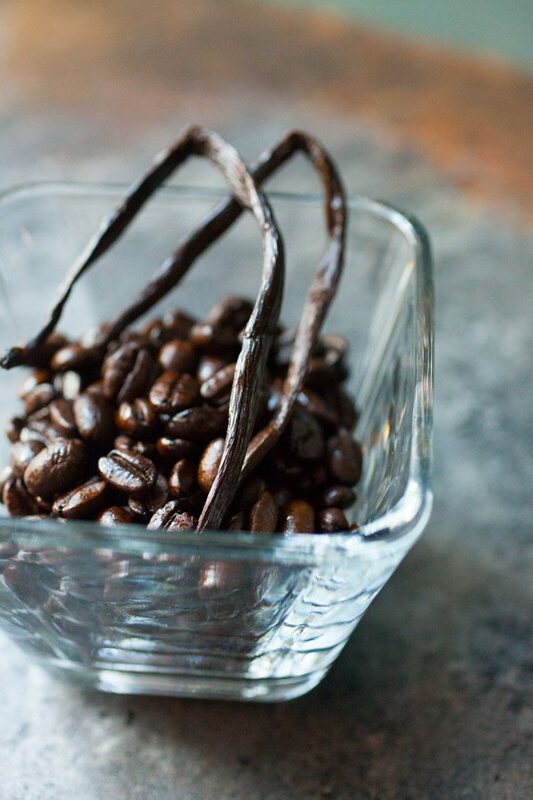 Add the vodka, lightly crushed coffee beans, and split vanilla beans. Stir together and let cool to room temperature. Transfer to a very clean air-tight container. Seal and let sit in a cool dark place for three weeks or longer. Strain the solids out of mixture with a fine mesh strainer, and divide up the homemade Kahlua or keep it in a big batch. Kahlua keeps fine at room temperature for a few months. 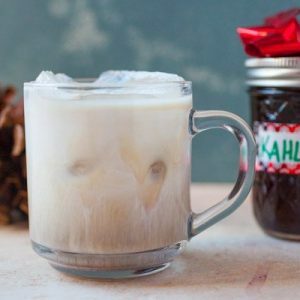 Use homemade Kahlua in coffee or with whole milk to make White Russians!